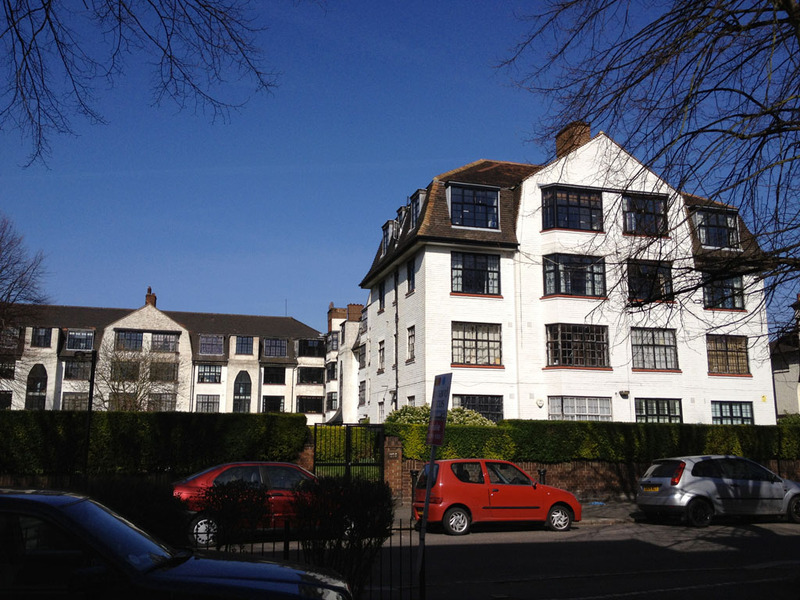 Manor Court is a four storey development arranged around a large central garden and was a Bell Properties scheme. These blocks of flats have white painted brick exterior walls and Dutch style mansard roofs. The mansard roofs incorporate dormer windows and the roof coverings are small clay tiles. Each block has a central return gable with a full height canted bay and paired windows on each floor. 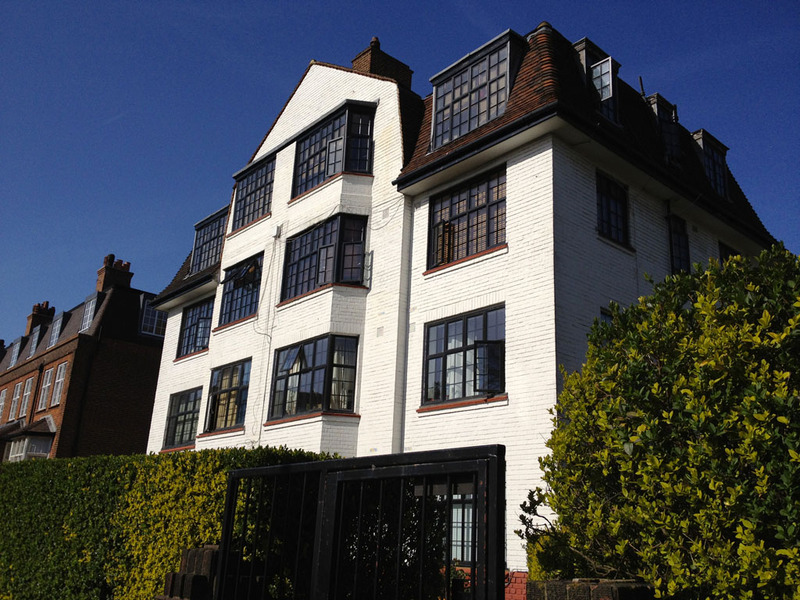 The original Crittall type windows are painted black throughout the complex. The entrance doors have a simple swept porch with a stylised Art Deco double height stair window above. The central garden is well stocked with mature shrubs and flowers. The original sales brochure boasts a residential club with amongst other attractions a pavilion for dancing.